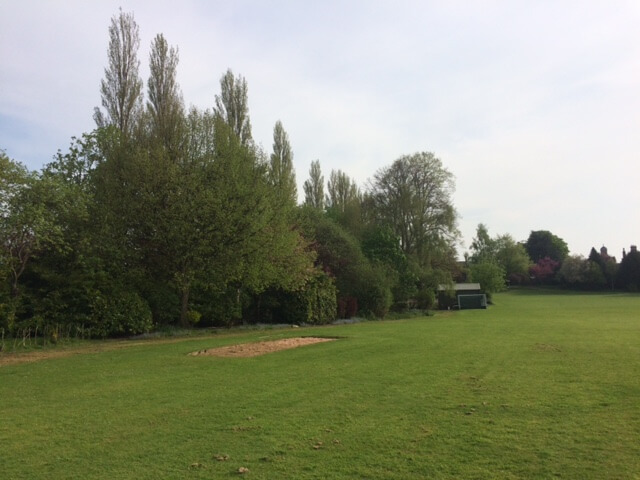 In November 2016 Treesaw undertook the felling and removal of approximately 25 mature Lombardy Poplar trees in the grounds of The Mount School in York. 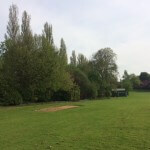 The decision to remove the trees, which were situated immediately adjacent to a section of Network Rail’s East Coast mainline and the school sports field was taken following the failure of two of the trees during high winds. 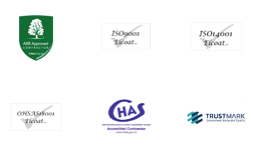 We were awarded the work due to our experience and proven track record of undertaking work adjacent to Network Rail infrastructure and working under ‘green zone’ conditions ensuring minimum disturbance to rail services. All of the trees were successfully felled during a six hour night shift starting at 1am on a Sunday morning under the supervision of Network Rail. As well as working near Network Rail infrastructure significant hazards included (but were not limited to) working at night, use of winches in difficult conditions and slips trips and falls. 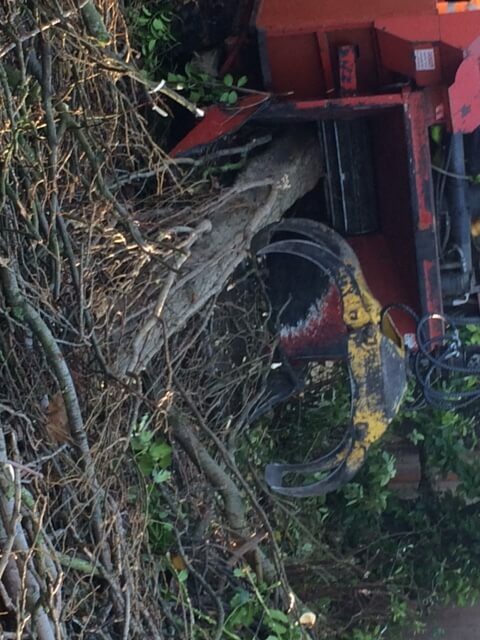 The method of tree removal employed in the time available was use of an agricultural tractor and mounted winch to assist with the directional felling of trees and use of appropriate exclusion zones. Environmental Protection methods included measures to reduce noise by incorporating exhaust baffles to plant and equipment, use of non-spill spouts for refuelling and use of biodegradable oil and other lubricants. 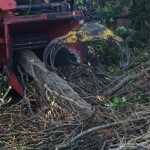 The clean-up and removal of the felled trees was carried out during normal working hours, with the majority of the arising woodchip remaining onsite to be reused on footpaths or as border mulch. Approximately 40 short lengths of tree trunk were requested by the school to be used as outside seats and 10 larger trunk sections and various branches were left to enhance other outdoor areas. Larger unwanted timber removed from site was sent to be used in the biomass industry ensuring 100% of the felled trees were reused.